Johns & Nowak | The Goose Is Out! Camilla Johns and Andy Nowak met at a bluegrass festival. They are an English acoustic duo who like to have fun with American music; weaving together mandolin and guitar and singing songs of heartache and longing. 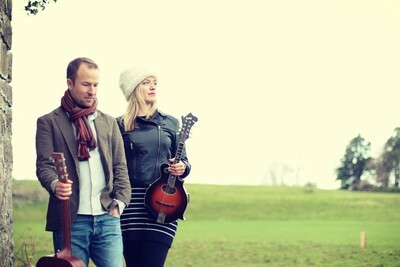 Accomplished instrumentalists, they are a brand new duo who hail from a background of glitzy London folk bands, the Bristol jazz and UK acoustic music scene, with debut album of the year nominations and tuition from some of America’s greatest acoustic musicians. The duo is based in Bath/Bristol UK and released their debut EP in October 2016. Click here to go to Johns & Nowak’s website!